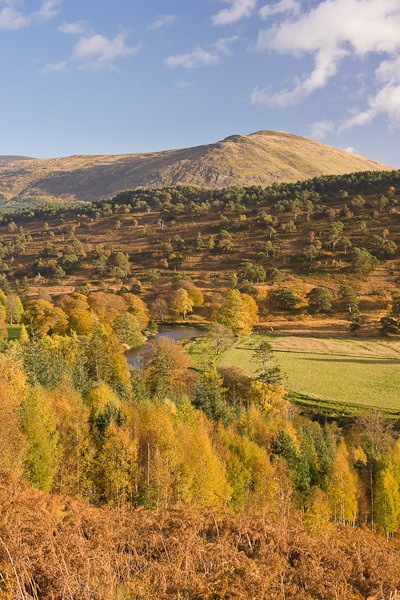 At 34 miles in length, Glen Lyon is the longest enclosed glen in Scotland. It transforms from a narrow ravine to a wider U-shaped valley surrounded by beautiful hills to a large loch at its western end. The hillsides are covered with a mixture of mainly Silver Birch and Scots Pine. In Autumn the trees become alive with vibrant colours, ranging from yellow and orange to red. At this viewpoint the River Lyon meanders lazily before cashing through the steep sided ravine.